The Higgins family have offered the Year 6 families the use of their home to celebrate our Confirmation Home Mass this year. This is a wonderful opportunity for us to come together as a group to reflect on the journey undertaken in receiving the Sacrament of Confirmation. The mass will be held on Monday 5th September - please mark this date in your diaries as it would be wonderful to have as many families as possible attend. Week 10 - The Holidays are Almost Here! 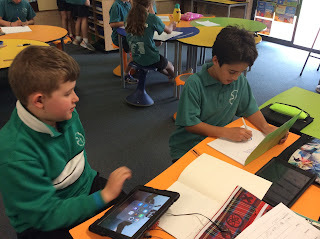 Here is the last post for Term 2, it has been a fantastic term. The students have all worked so hard and have shown themselves to be excellent individuals and school leaders time and time again. I hope that you are all planning some down time...safe travels to those of you that are leaving town! Grandparents Day - Wednesday 29th June - If you have not already done so can you please return the blue slip sent home last week to RSVP for the day for catering purposes. Choir Donation - Thank you to those parents that have brought in their money, if you have not already done so please have it in for tomorrow. Shrek The Musical - Just to confirm that the dates for the Musical this year are Wednesday and Thursday 14th and 15th September. We will be looking for helpers with sewing, costuming and set decoration in the coming weeks. There will be a meeting on Wednesday 21st July in Silver Room. Please come along if you are able to help. It was a very busy week last week and we were all very proud of the Choir for working so hard and coming in First Place. I was very proud of the way that the students conducted themselves during our rehearsals and on the day. What a wonderful memory! Confirmation Enrolment Mass - Thank you to those that came along on Saturday night to support the children in their acknowledgement of their commitment to receive the Sacrament of Confirmation. Confirmation Paperwork - If you can please return the Confirmation Card, list of Sacraments and the $25 to me as soon as possible that would be great. Please make sure that you have begun thinking about the letter that you will write to your child, this is a wonderful chance to tell them how proud you are of them and to share special memories and love. If there is a parent or parents that is able to take charge and coordinate morning tea and lunch for the Confirmation Retreat I would be most grateful. I hope that the week is going well, we are working very hard in Silver Room and the students are looking forward to the holidays. I hope that some of you are heading somewhere warm! Confirmation Parent Information Evening - This will be held on Wednesday 15th June beginning at 6pm. We ask that your child that is being Confirmed attends with you as this will be an interactive session to help you work together as a family to prepare your child to receive the Sacrament of Confirmation. Confirmation Enrolment Mass - This will be held on Saturday 18th June at 6pm. All candidates and prayer buddies are asked to attend. Bunbury Choir Eisteddfod - This will be held on Friday 17th June at the Bunbury Regional Entertainment Centre. We are performing in the 10am session. 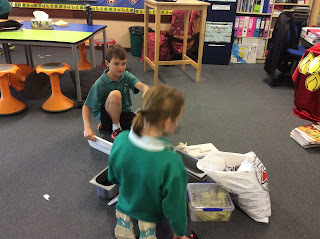 Students are asked to wear their winter uniform and be neat and tidy. Please make sure that you have booked in any haircuts before Friday! As you are aware there is a Confirmation Parent Information Evening on Wednesday 15th June, this will begin at 6pm and will be held in Silver Room. We ask that you bring your child with you as this will be an interactive session which will focus on their preparation to receive the Sacrament of Confirmation that will be facilitated by Fr Ian, Mrs Amie Meyer and I. The meeting will run for approximately 1 hour. Those parents that have children that are not being Confirmed are not expected to attend. If you are unable to make this meeting, please notify me as soon as possible. There will be a make-up session to attend with Fr Ian early next week, I will advise you of this once I have confirmed the time with Fr Ian. If you need to bring other children we can organise a movie for them to watch next door in Purple Room. My apologies for not having the post for this week out earlier, I had to leave unexpectedly on Tuesday to go up to Perth as my mum had been unwell and was taken to hospital. Thankfully she is on the mend now and will be coming home today. Thank you for the emails and messages to check in on the family and I. The last couple of days have reminded me again of how lucky I am to have such a supportive parent group to work with! Carnival Gear - Just a reminder to please return all items borrowed for the Inter-school Carnival last week. The students are asked to tick their names off the list on the board and place the returned items in the tub to be returned to Mrs Sinclair. Thank you to those that have already done so.